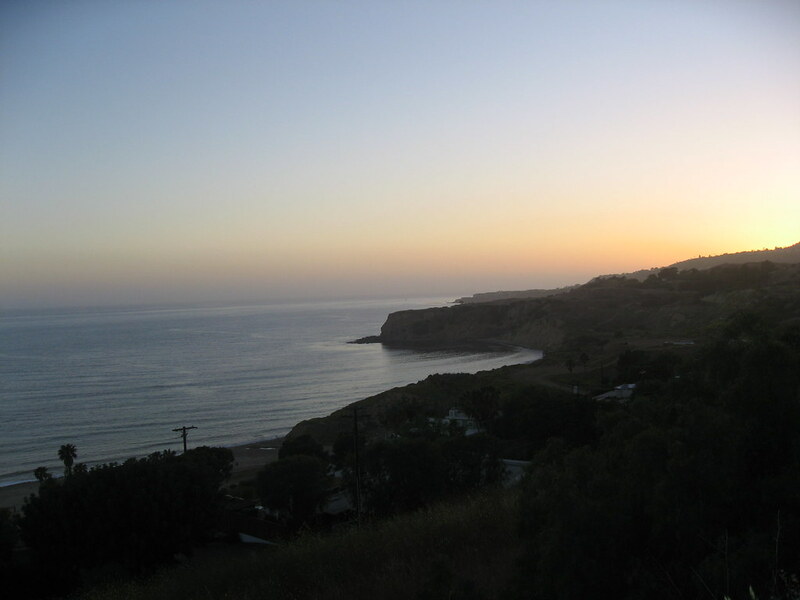 Last night, the Green Girl joined the Sole Runners for their Tuesday Night Run in Palos Verdes. This was the first time I met up with the Sole Runners during the week - I usually go solo on weekday runs. 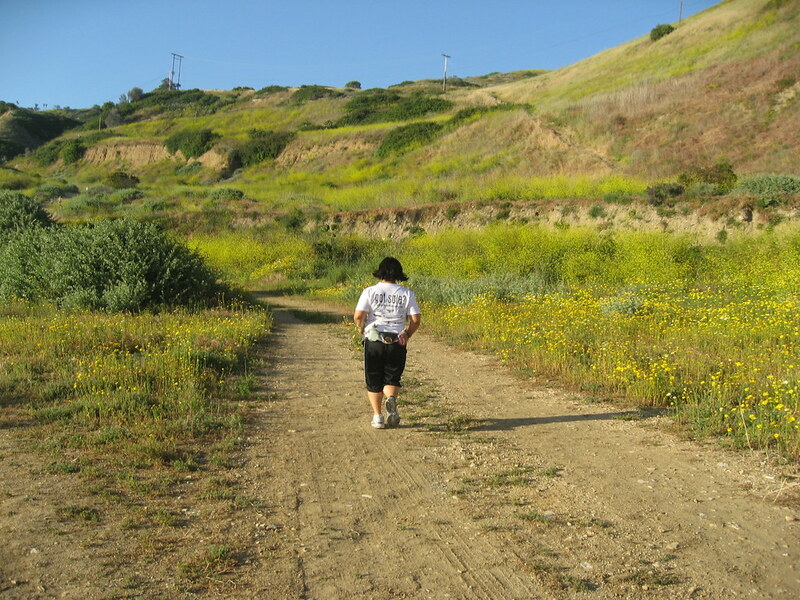 Initially, I was really intimidated by the concept of trail running. I would actually take a detour to stay on streets while the rest of my running group hit the trails. I finally ventured onto the trail for the first time a couple of years ago. My biggest concern was that I would lose my footing on the uneven ground. The trails were challenging and there were some really steep sections but I quickly discovered I was capable of maneuvering myself over the gravel and rocks. As a clumsy Green Girl, I had learned to watch my step at a young age so paying attention to the terrain came naturally to me. 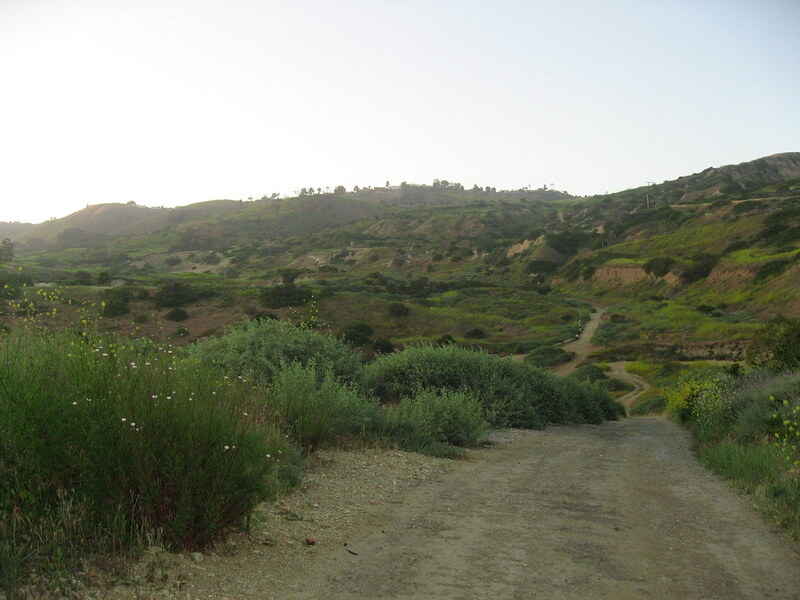 We parked at the main golf course clubhouse at the Trump National Golf Club and headed west on the shoulder of Palos Verdes Dr. until we reached the base of the trails. We slipped past the chainlink fence that marks the entrance and ran through the grassy area towards the hills. 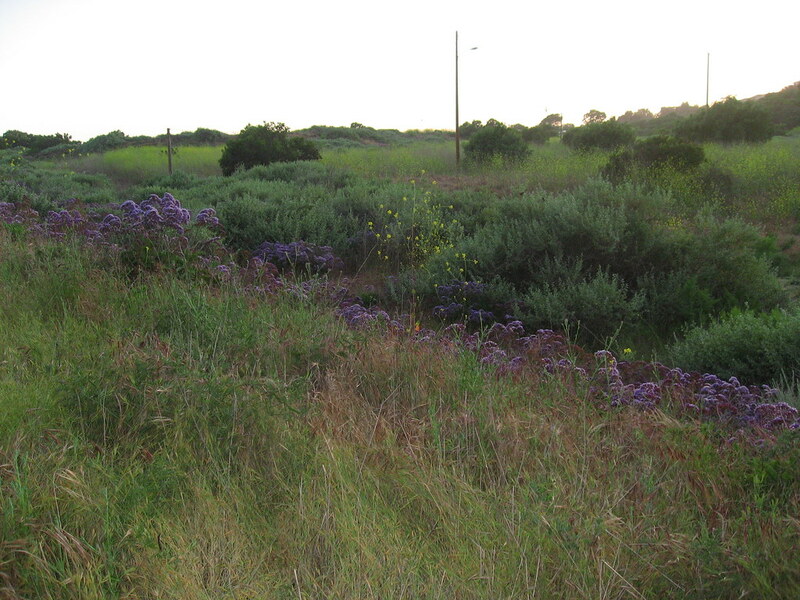 Purple and yellow wildflowers dotted the landscape. It had been awhile since I'd run on these trails and I had forgotten how much I enjoyed it. The scenery actually distracts you from the arduousness of the run. The Ocean Trails afford you a spectacular view of the Southern California coastline and as we traversed the hills, the setting sun cast a fiery red glow across the sky. Those pics are amazing! I want to see more! Now you have me 100% curious for trail running!!!! Thank you, Rad Runner. It was such a beautiful evening for a run. Let me know when you are up to a trail run and we can head out there together! Lovely pics and trails! I'm starting my trail season for 2010 next week and can't wait. I love the trails. On hot days the shady tree-lined trails are cool. I love trail running. Just remember the #1 rule - "If you look up you're going down." Omg, that is soooo pretty! haha@ Glenn...yeah, don't look up too much! Enjoy your new group!